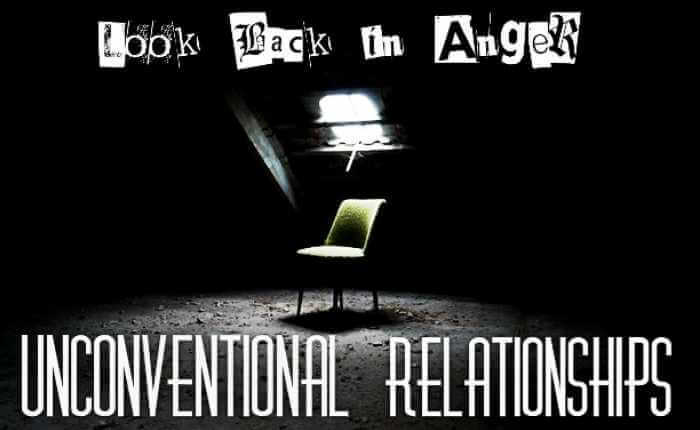 The plays written in the modern and post modern period throw a series of questions regarding the relationship shared between one another residing in and around the same house. The position of the individual in society has been an interesting subject for writers, as values and allegiances continue to alter drastically through the years. The significance of human relationships in society is crucial to its well-being and sanity as a whole. Exploration of this theme has a long tradition in European drama, including English drama. John Osborne too shows his concern with a drastic deterioration in the stability of the man-woman and such proximate relationships, as evident in his play Look Back in Anger. While exploring various relationship equations, Osborne shows the multidimensional society that imposes uncharitable demands on the individual. He also points out that in order to allow development of society, one must break away from frozen traditions and customs, steering away from the confining shackles of the mindless conventions. The relationships as projected in Look Back in Anger are dynamic in their aspects such as marital, extra-marital, parental and fraternal. They can only communicate in the non-verbal, almost bestial, level of non-human non-intellectual intimacy. Their game of bears and squirrels becomes a trope of escaping the inevitable angst of isolation and denial. The real tension evolves from the series of sufferings that Alison experiences—the pain of loving Jimmy and the pangs of her separation from him. This is supplemented by her desperate anguish of losing her unborn child. However, despite all the discordant notes in the Jimmy-Alison relationship, the close of the play exhibits a profound tenderness and renewed harmony. At the same time one must remember that this harmony takes refuge in the world of furry little imaginative animals and the role-plays that they engage in. The Jimmy-Cliff duo in Look Back in Anger presents a picture of genuine Platonic friendship between two men, despite their similarity in values and disparity in responses. The early part of the play leads us to suspect Cliff to turn out to be the intrusive agent in the Jimmy-Alison alliance. However, very soon we find him the confidant to both Jimmy and Alison, acting as a bridge of amity. He does not exploit Alison’s vulnerability, but shares her anxiety and problems. Alison: I don’t think I want anything more to do with love. Any more. I can’t take it on. On the other hand, from the outset, Cliff considers Helena a menace in the Porter family. Her arrival is regarded with more suspicion than pleasure. She is instinctively drawn to Jimmy as if it is a challenge to be won, yet she succumbs to his charms. Their relationship is a temporary respite. A basic stubbornness, a clash of values and attitudes somehow forge a bond between the two. 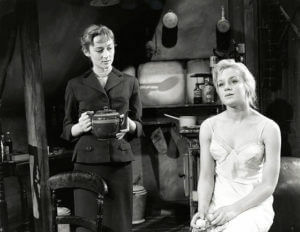 Helena shrewdly gauges the predicament in the Jimmy-Alison marriage with a detachment and realizes the need to help Alison cope with the crisis. She becomes instrumental in Alison’s reluctant retreat to her parental home. Her prolonged absence might even serve as an adhesive in their estrangement and brings about a reunion. Therefore, indirectly, Helena becomes a catalyst in bringing about a renewed surfeit of feeling in Jimmy and Aison. When Alison actually comes back in a pathetic and distressed state, Helena experiences profound guilt. Yet her judicious discretion about Alison’s rightful status stirs her hidden sense of remorse as she resolves to quit. The relationships in Look Back in Anger, therefore, bring out the temperament of the new permissive society of the young generation of the fifties who could understand Jimmy’s sexual vacillations and adherence to a new set of values, neither traditional nor conventional. Free mixing, living together and separation were accepted norms in daily lives. The true meaning of friendship as a cementing bond between two persons joined to one another in intimacy and mutual benevolence apart from sexual leanings gets focused in the play Look Back in Anger as much as sexual love and marital bonds. 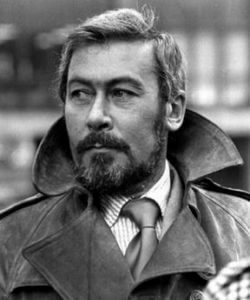 John Osborne was born on 12th December, 1929 in London, to Thomas Godfrey Osborne and Nellie Beatrice. In a productive life of around forty years, Osborne exhibited his versatility by exposing many themes and genres, writing for stage, film and Television. He was notorious for his violence of language against politics as well as domestic issues. Osborne died in 1994 after suffering from liver crisis and diabetes. A versatile personality, Kumkum completed M.A in English Literature from The University of Calcutta, followed by B.Ed and worked as Faculty member in Victoria College. A loving mother and wife, she works as an independent Teacher-Facilitator for High School and College Students of English.